North East Stars are off the bottom of the Pro League (PL) standings for the first time this season, albeit only by goal-difference, and the holders must thank goalkeeper Glenroy Samuel for a 0-0 draw against Morvant Caledonia United in a rescheduled clash on Tuesday night at Ato Boldon Stadium in Couva. The 28-year-old Trinidad and Tobago former Youth World Cup ‘keeper made a second half penalty save to deny Morvant Caledonia star Keron Cummings and three other crucial stops in the half to blank his former employers—the side that had trashed North East Stars 8-0 less than a month ago. 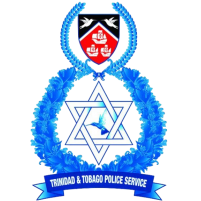 North East Stars, with the point earned, hurdled Terminix St. Ann’s Rangers for ninth-position on the 10-team ladder but are only ahead by a superior goal-difference with both teams on 6 points, while Morvant Caledonia (15 points) remain three points behind sixth-positioned Sando with six league games left. 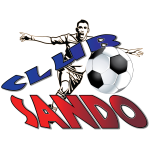 Samuel followed up with two more saves, the second to deny substitute Sheldon Holder six minutes from time before defender James cleared at the goalmouth to keep out a follow up effort from Saydrel Lewis as Morvant Caledonia struggled against a side they washed comfortably on Sep. 28. A stoppage-time miss by substitute Quincy Ballah with Samuel at his mercy dropped the curtain on a miserable performance by the “Eastern Stallions” who must next host Rangers in the first game of a double-header from 6pm on Friday at Ato Boldon Stadium. 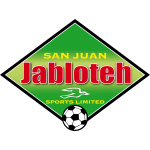 Jabloteh will tackle third-placed Police FC from 8pm in the second game. “We had the players to get the job done against North East Stars,” said Morvant Caledonia coach Jerry Moe, whose side was also equipped with the likes of former Canada-based winger Aikim Andrews and veteran midfielder Kerry Daniel. ”We had enough clear cut chances to put the game away [although] we were a bit flat without enough penetration. “But we had one or two bright spots in the performances of [defenders] Maurice Ford and Ross Russell (Jr.) and [keeper] Terrence Lewis. 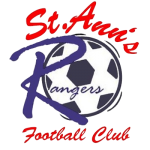 “I don’t think we did everything wrong [against North East Stars], but it’s back to the drawing board for us to improve a couple areas in terms of finishing and creating more chances and maybe the result will come against Rangers,” ended the Morvant Caledonia coach. 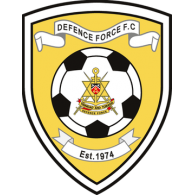 North East Stars, meanwhile, must next host Defence Force FC from 3:30pm at Larry Gomes Stadium on Saturday. 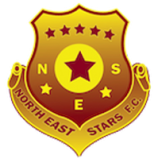 North East Stars held the “Tetron Boys” to a 1-1 draw when both sides met two months ago, Aug. 18, in Round One. 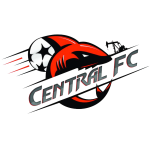 Also on Saturday, W Connection and Central FC will square off in a top-of-the-table clash from 3:30pm at Mannie Ramjohn Stadium. 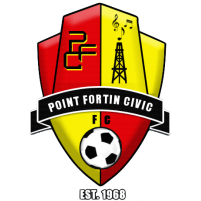 Pro League action will return to the Marabella venue on Sunday with Club Sando hosting Point Fortin Civic from 3:30pm. Morvant Caledonia United 0 vs North East Stars 0, at Ato Boldon Stadium. 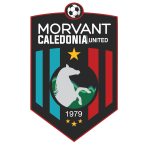 Morvant Caledonia United: 1.Terrence Lewis (GK); 4.Maurice Force, 5.Joshua Sylvester (10.Sheldon Holder 62nd minute), 8.Ross Russell Jr., 9.Sedale Mc Lean (11.Quincy Ballah 70th minute), 13.Saydrel Lewis, 15.Malik Mieres, 17.Kerry Daniel (Capt. ), 20.Keron Cummings, 22.Joshua Alexander, 29.Aikim Andrews (25.Joshua Martin 88th minute). Unused substitutes: 6.Keion Goodridge, 24.Osei Charles, 28.Jomokie Sandy. 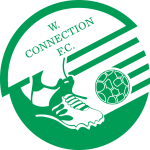 North East Stars: 1.Glenroy Samuel (GK); 7.Hayden Tinto, 9.Kordell Samuel, 14.Keithen Carter, 15.Lashawn Roberts, 18.Josiah Daniel (8.Saleem Henry 60th minute), 23.Sherwyn Williams (12.Jaydon Prowell 46th minute), 24.Rakim Cabie, 26.Dwane James, 27.Ross Dowden, 30.Kareem Davidson (2.Jabari Brathwaite 81st minute). Unused substitutes: 21.Javon Sample (GK); 6.Adrian Noel, 20.Dareem Daniel, 22.Allister Bernard.